On my few long swims in the wetsuit last year, I used cold drinks in milk bottles. 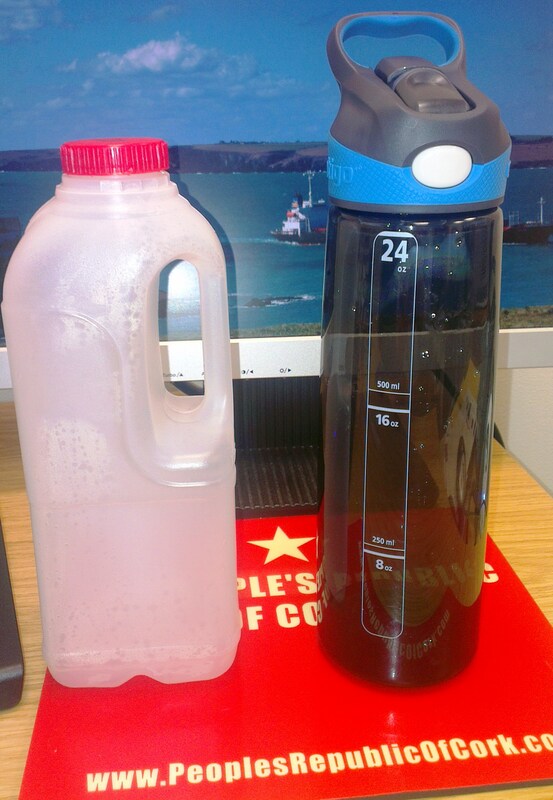 In togs this year and needing warm drinks, the milk bottles don’t work, so I took Carol Cashell’s advice and went to The Edge to invest in a Contigo bottle. Much to my surprise, Steve Redmond – as in, “starting his swim from Ireland to Wales at 11.30pm tonight”, Steve Redmond – was standing at the display counter, pondering which of the bottles to choose. Being an expert in the field, I gave him sterling advice. I was literally off the phone to Carol being told what to get: she even sent me a picture. I sounded like I knew what I was talking about, because Carol does and I was just parroting her. Mr. Redmond chose what will now be known as Carol’s Bottle. So, when he reaches Wales, I will claim the credit for the advice and if there are any problems with feeds on the way, Steve should contact Carol at swimmersrock.com. Good luck, Steve! Simon Worley, Steve Redmond and a delighted hanger-on. This entry was posted in Events and tagged Marathon Swimming, Open water swimming - Cork, Open water swimming - Cork - Ireland, Open water swimming events, Sea Swimming - Cork - Ireland, Sea swimming events, steve redmond by myrtlevilleswimmers. Bookmark the permalink. Good Luck Steve. Have Fun. 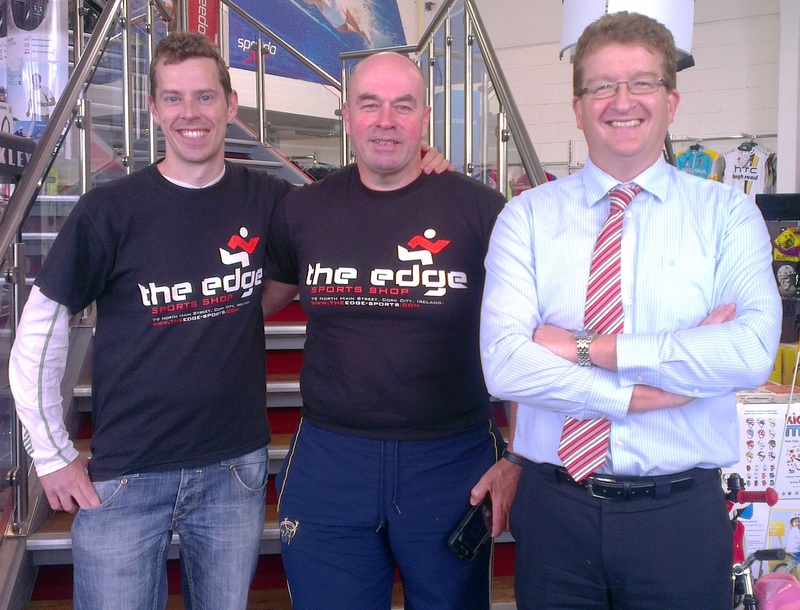 Here is a lovely little write on a random Wednesday – From Damien ONeill (Myrtleville Swimmer! )..